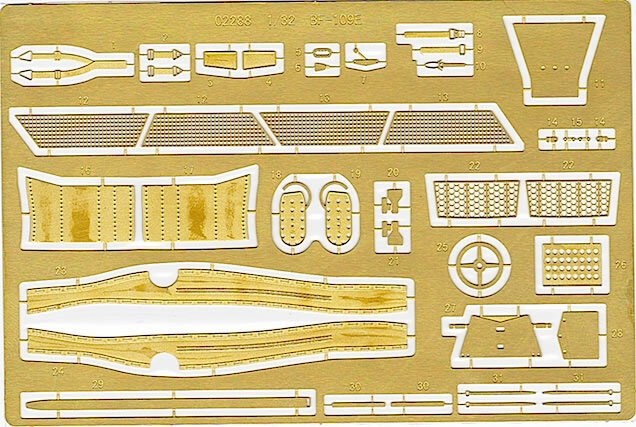 Contents and Media: Approximately 250 mid-grey plastic parts; 8 clear plastic parts; 1 decal sheet containing markings for 3 aircraft, and sufficient stencils for at least 1 aircraft; 1 fret of photo-etched detail parts. 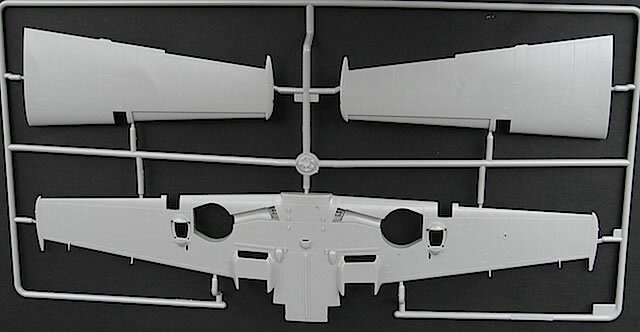 Advantages: Crisp mouldings; high level of detail; competitive price compared to other 1/32 Bf 109 E kits. 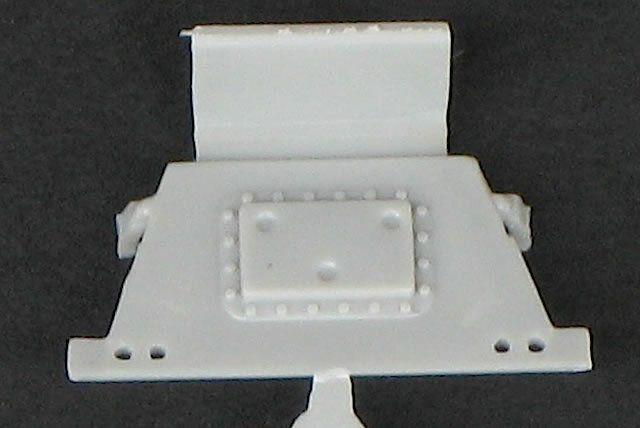 Disadvantages: A number of dimensional and detail errors which have been carried across from the earlier E-3 version of the kit. 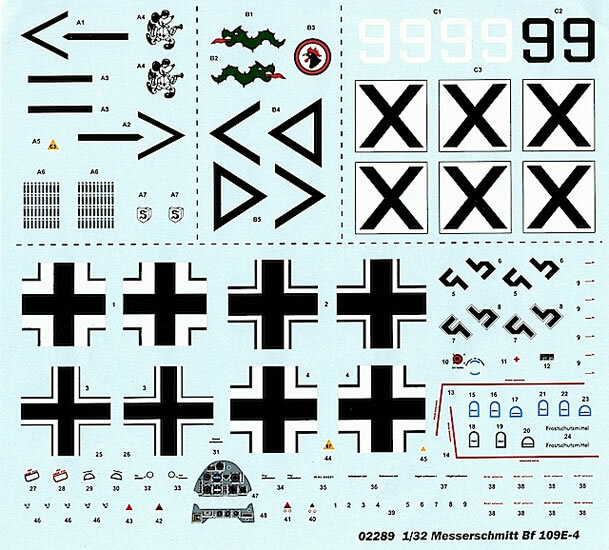 Conclusion: A mixed bag of a kit that should build up easily enough, but which requires some extra work to deliver an accurate Bf 109 E.
With its role in the Battle of Britain making it arguably the most recognised of all Messerschmitt Bf 109 variants, the Emil has been a popular subject with modelers and kit manufacturers for many years. However, until recently the type had been neglected in 1/32 scale, with only the decades-old Hasegawa and Matchbox kits available. This situation has changed since 2009, with first Eduard, and then Trumpeter and Cyber-Hobby/DML, releasing new tool Bf 109 E kits. Eduard has been particularly prolific, releasing kits of the E-1, E-3, E-4 and E-7 in a variety of boxings. 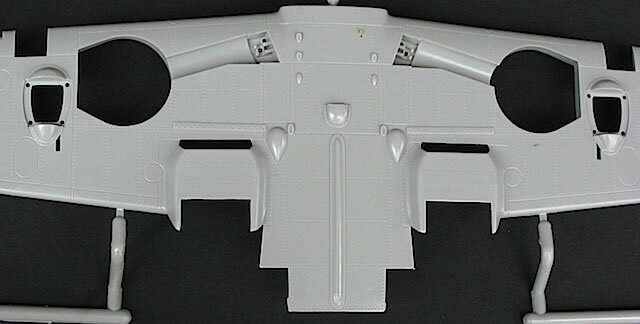 Now Trumpeter has followed up its initial E-3 release with an E-4, leaving 1/32 Bf 109 fans spoiled for choice compared to the situation only a few years ago. 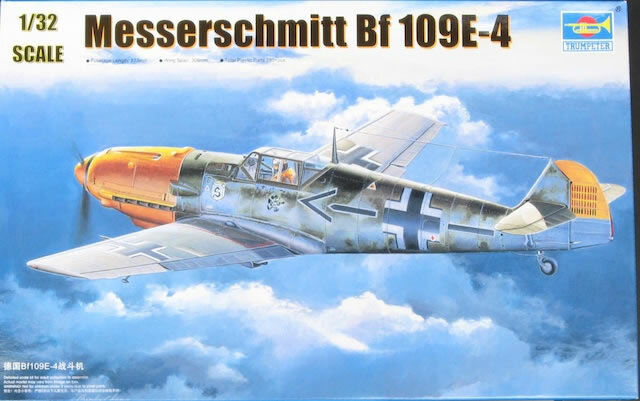 Trumpeter's 1/32 Bf 109 E-3 was reviewed here by Brett Green shortly after its release in 2010. Brett's assessment was that the kit was a bit of a mixed bag - while its production quality was high, and it offered some nice details and useful options, the kit also contained some inaccuracies that might have been avoided with more thorough research. 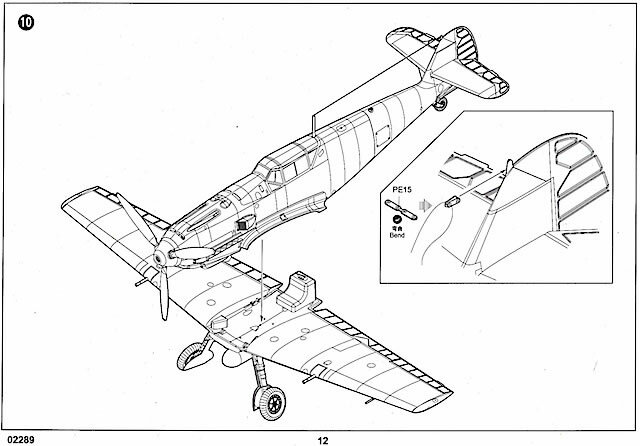 Amongst the most significant of these were some shape issues with the fuselage, oil cooler, canopy, spinner and propeller, and some incorrect details in the cockpit. 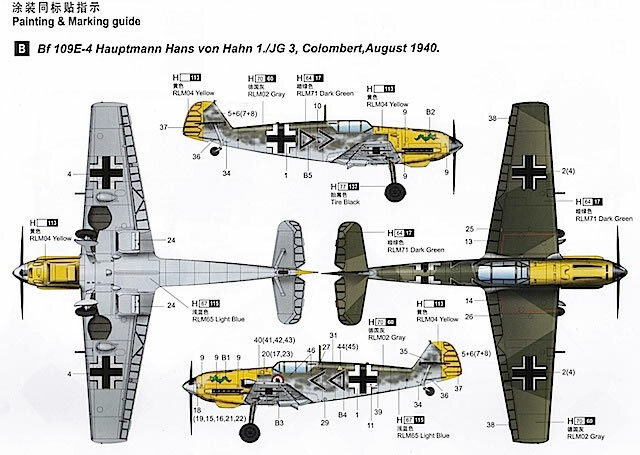 Two years on, the same points can be made about Trumpeter's new Bf 109 E-4. 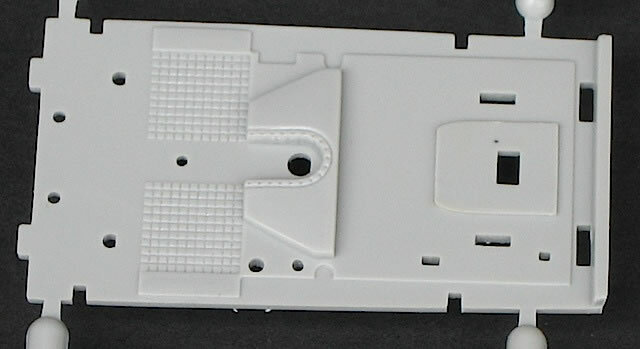 In the box, the parts look really good, with crisp moulding and restrained surface detail. Rivet detail is present, but not overdone. There is no flash, and the only sink marks I could find were a couple of very small hollows on the lower rear fuselage, which will be easily filled. 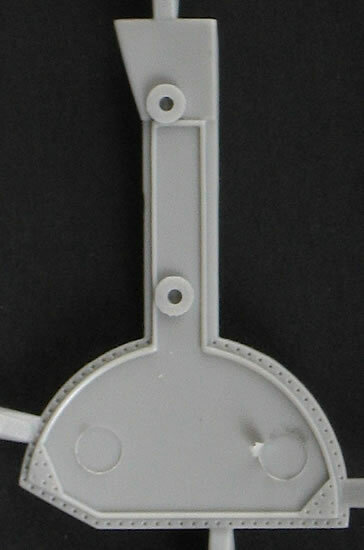 A test fit of the major fuselage and wing components suggests that these parts should join together very neatly. 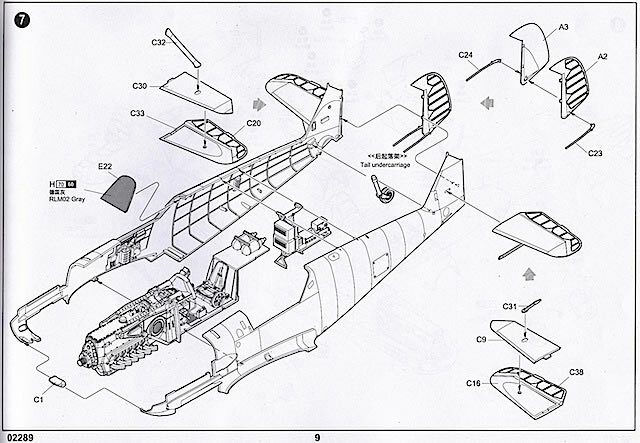 However, I would hesitate to assemble them as per Trumpeter's instructions, which would have you mate the completed fuselage module (including canopy and propeller) with the completed wing assembly (including undercarriage) as the very last step in the construction process - this looks like a recipe for disaster on a number of fronts! There are also some good details. While the kit engine is a little undersized, it's a fair representation of a DB 601, and would respond well to further detailing; I particularly like the individually moulded, hollowed-out exhaust stacks. 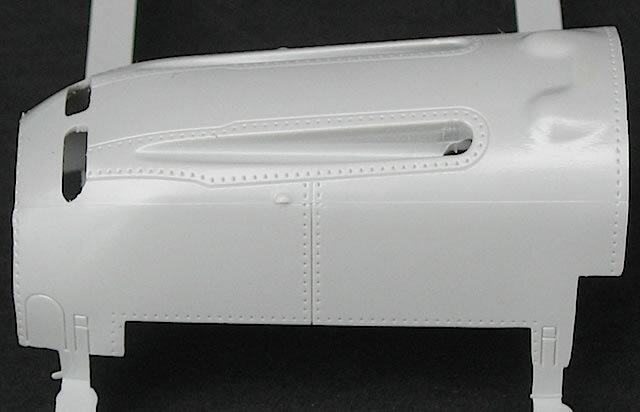 The radio gear inside the rear fuselage is also a nice touch - it looks reasonably accurate compared to my references, and will be clearly visible if you choose to leave off the separately moulded fuselage hatch. 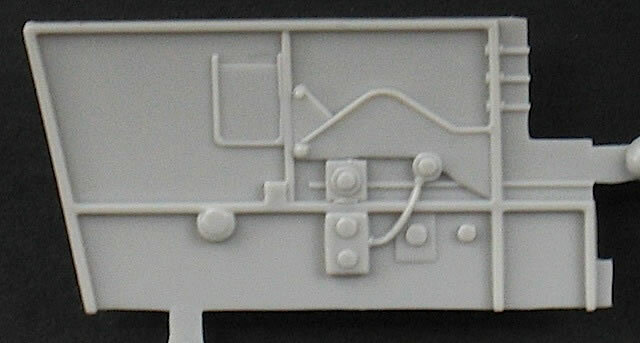 (I have a soft spot for this area of detail, having tried and failed to scratch build a Bf 109 E radio unit for my 1/24 Airfix kit many years ago.) Less convincing, and more gimmicky, are the transparently-moulded underwing blisters, designed to let you see the kit's eight-part MG FF cannons. 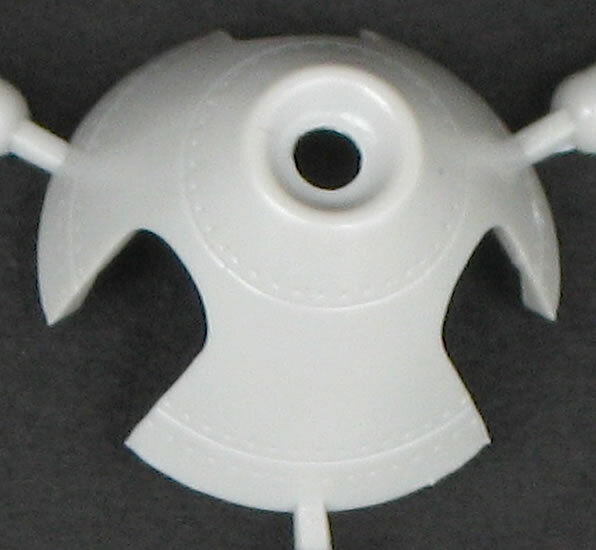 Like the exhaust stacks, however, the cannon barrels are nicely hollowed-out. 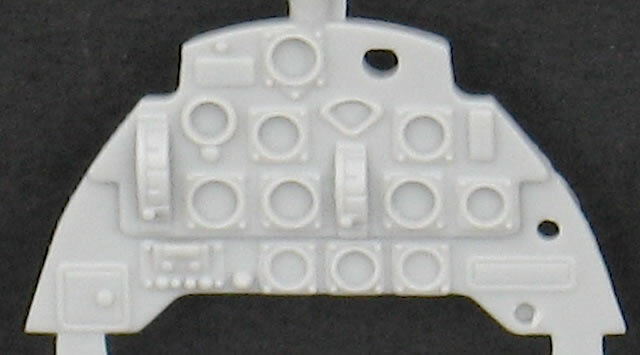 Trumpeter also provides a reasonably detailed cockpit, which if carefully assembled and painted will look quite busy; the photo-etched seat harness, flap wheel and rudder pedals are a welcome touch. 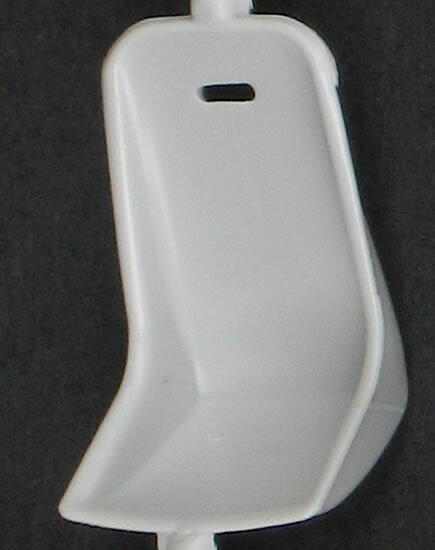 The pilot's seat is ok in shape, if a little square across the top, and with the best detail moulded across the lower back where it will never be seen. 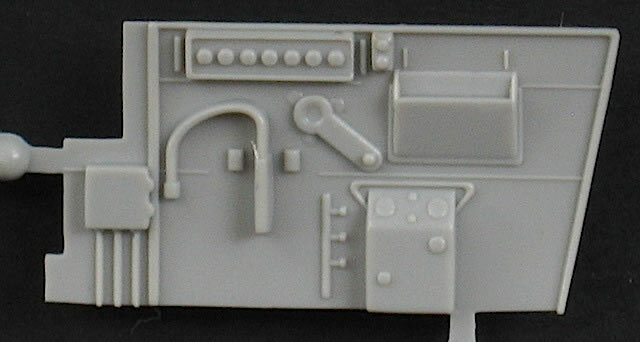 Unfortunately, there are also some errors in the cockpit that are surprising in a modern Bf 109 E kit, although all can be addressed with some scratch-building and/or aftermarket detail sets. 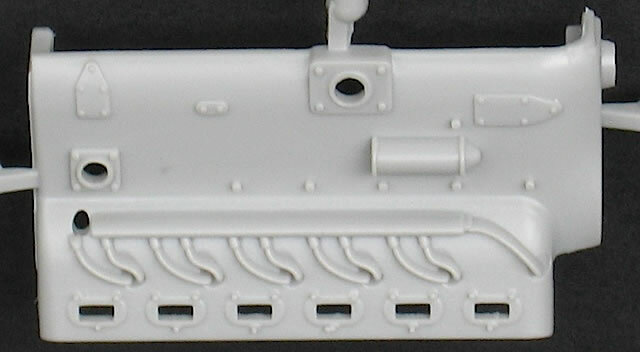 Most immediately obvious is the housing for the centreline cannon, which as Brett pointed out in his review wasn't fitted to the Emil. More subtly, the otherwise accurate instrument panel appears to be missing its bottom row of dials, and some of the sidewall detail is either simplified or wrong. 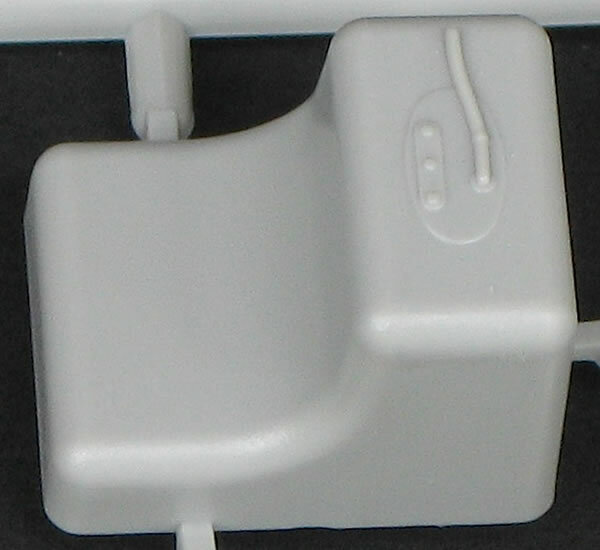 And, as with the E-3 kit, the pilot's access hatch is missing from the bulkhead behind the seat. 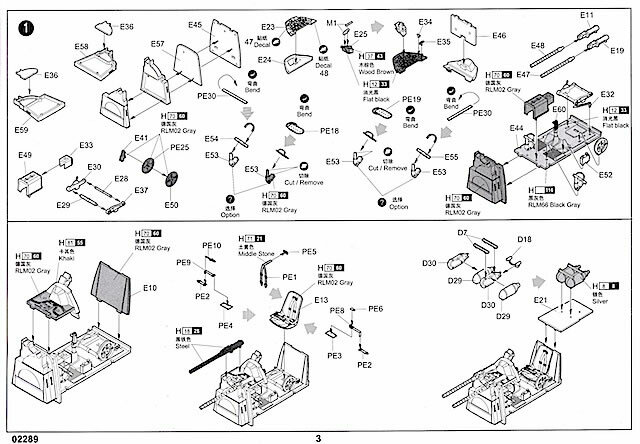 More significantly, all of the shape problems noted in the initial E-3 release appear to have been carried across to the E-4. Many of these are not easily fixed. Does this make the kit fatally flawed? As Brett pointed out in his review, it depends upon your point of view. 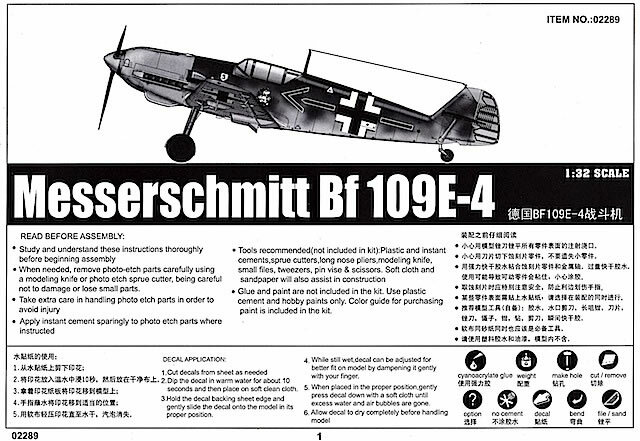 If these particular accuracy issues really trouble you, look elsewhere (although of course none of the other 1/32 Bf 109 E kits are perfect either). But as Alan Price's excellent build of the Trumpeter E-3 here on Hyperscale shows, the kit can be made into a really good-looking model that no-one will mistake for anything other than an Emil. Bf 109 E-4/N, probably W.Nr.5819 although not identified as such, flown by Major Adolf Galland, JG 26, France, late 1940. It seems almost obligatory for 109 E kit manufacturers to include markings for one of Galland's aircraft, with this one a particular favourite. However, while Trumpeter's interpretation of W.Nr.5819's markings appears to be reasonable, I recommend that anyone considering depicting this machine check their references carefully. 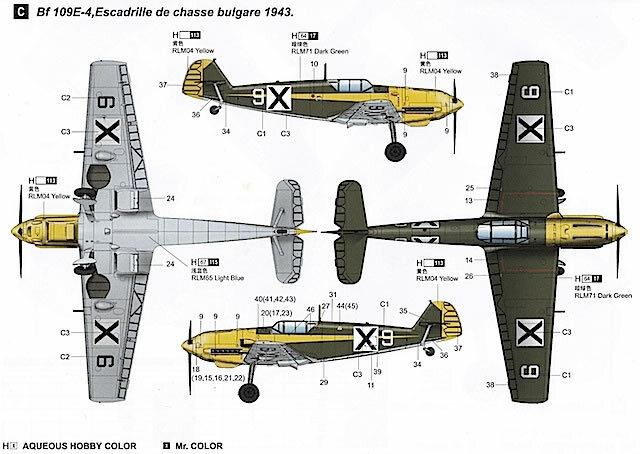 This is because the aircraft's markings underwent near constant minor change in late 1940, reflecting both the pace of operations and the rate at which Galland was accumulating victories. 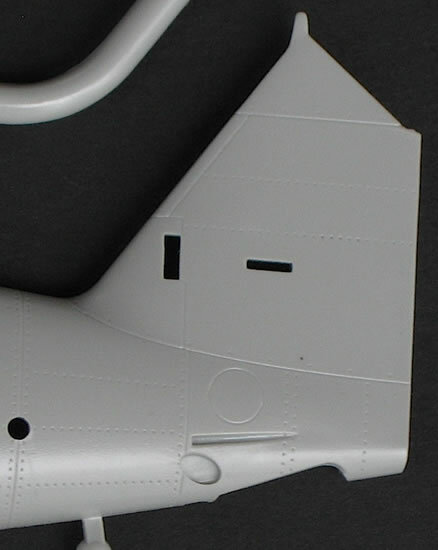 Trumpeter's colour call-out for W.Nr.5819 is wrong, directing modelers to finish the upper surface splinter camouflage in RLM 74 Grey Green and RLM 75 Grey Violet, when in fact this should be in the then standard colours of RLM 02 Grey and RLM 71 Dark Green. To be fair to Trumpeter, there has been past conjecture about the exact colours of this aircraft, so the call-outs provided are understandable. Colembert, France, August 1940. I was unable to find any photos of this machine, but based on other images of JG 3 aircraft from this period, Trumpeter's colour and marking call-outs seem fair. However, if I was modeling this aircraft there are a number of small details that I would want to confirm for myself, such as spinner colours and the shape of the 'tatzelwurm' emblem on the nose. Bf 109 E-4, 'White 9', Royal Bulgarian Air Force, 1943. The few photos of Bulgarian 109 Es that I could find suggest that Trumpeter's call for the demarcation between the upper colour of RLM 71 and lower colour of RLM 65 is incorrect, and misses an additional band of RLM 02 along the fuselage sides. Again, check your references. The kit decals look good on the sheet, and by all accounts perform well in practice. However there are registration issues with some of the chevrons and stencils, with the white background a little out of kilter. 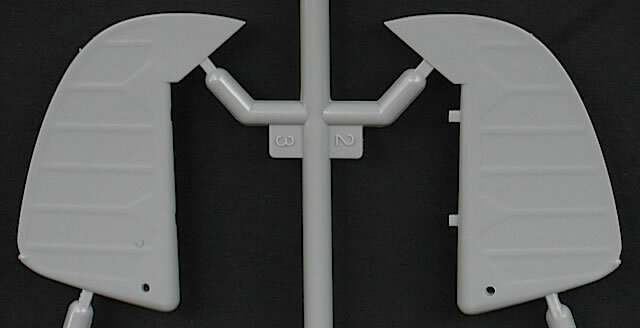 The hakenkruez markings are supplied as halves, while the instrument panel decal is simplistic and the wrong colour, so might best be replaced with individual dials from Mike Grant or Airscale. 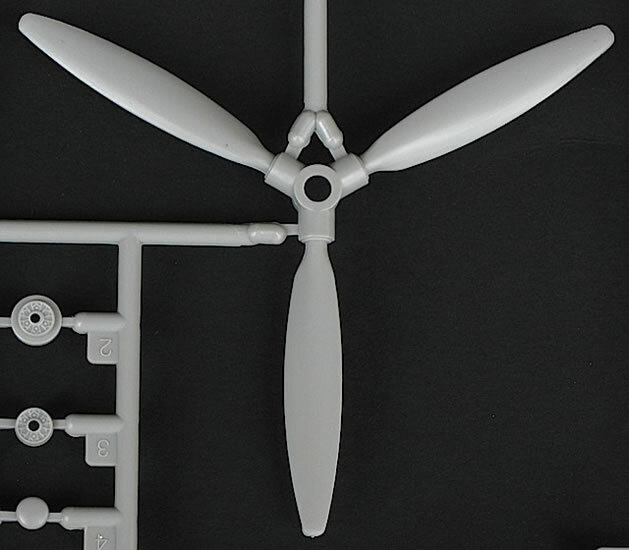 Trumpeter's 1/32 Bf 109 E-4 kit is well engineered, highly detailed, and competitively priced, and for these reasons alone will be popular with many modelers. While I seem to have spent most of my time criticising the kit, I actually quite like it - not least because it's got me thinking about how I might be able to creatively address some of its shortcomings. 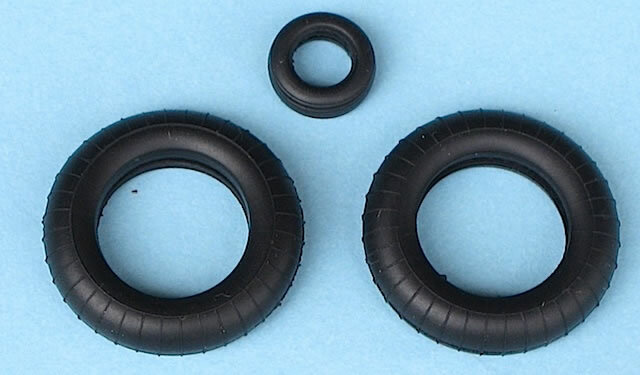 More disappointing than the kit's errors is the fact that these have been carried across from the earlier E-3 kit, when Trumpeter was presumably well aware of their existence. 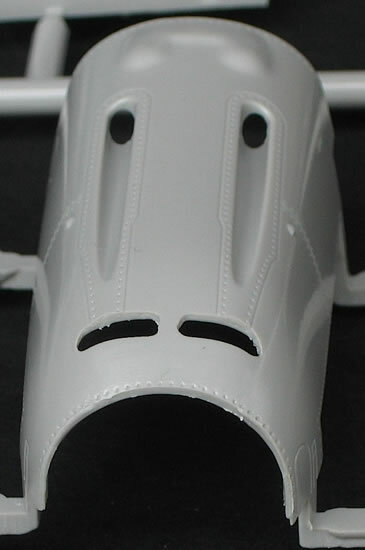 Other manufacturers who have been alerted to problems with their 109 E kits - such as Tamiya with the nose profile of their 1/48 kit, and Eduard with the canopy of their 1/32 E-4 - have made an effort to fix them, and it's a shame that Trumpeter did not take the opportunity to do the same with this release.